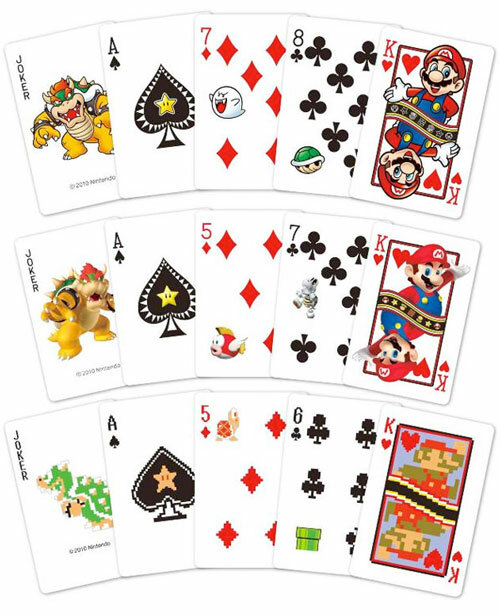 I found out via the Geek In Heels blog that Nintendo will be releasing three special decks of playing cards of Super Mario. Alas they will only be in Japan! There will be 3 different versions: 2D, 3D and 8-bit. My personal favourite is the 2D version; I’d love to get a set like this! I wonder what the other cards would be? The Princess as Queen? Luigi as Jack?